Orange Blossom Water Turns Three! Foul Mdammas (Foul Mudammas) is very popular dish served for breakfast or any meal of the day. 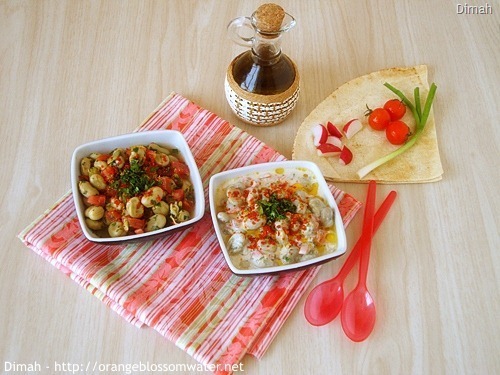 In Syria, we prepare Foul Mdammas in two ways and they are Foul Mdammas Bez-Zeit (fava beans with olive oil) and Foul Mdammas Bel-Laban (Fava beans with yogurt), I’ll share both recipes in this post. Fatayer is the name used to describe stuffed pastry, it can be filled with meat or cheese or spinach. 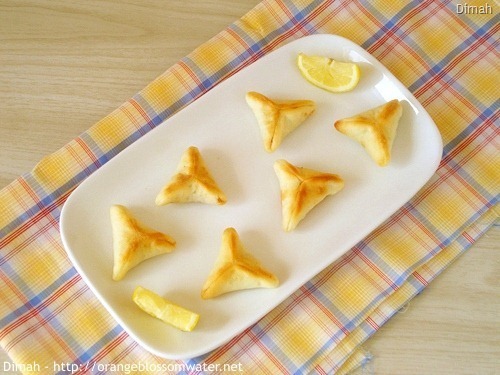 Fatayer Bes-Sabanekh are small triangular pies filled with spinach and other ingredients, served as appetizer. 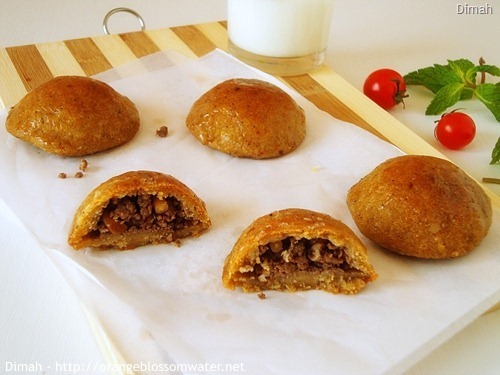 Kibbeh Qerfaliyeh is baked kibbeh, the recipe is exactly the same as kibbeh Bes-Seiniyeh but the shape is different.